1 Bedroom Maisonette For Sale in Woking for Guide Price £109,950. This property's price has dropped from £119,950 to Guide Price £109,950. 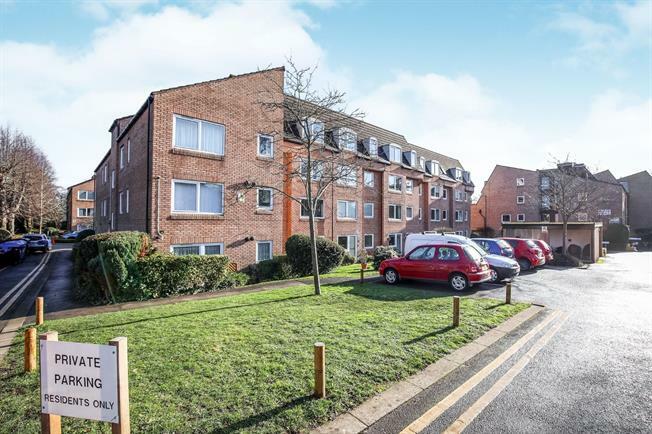 This ground floor apartment is among the most desirable in the community, located next door to the guest accommodation, the laundry room and close to the communal areas. The kitchen has been completely refitted with quartz worktops, and the property comes with all fitted white goods including a slimline dishwasher. The bathroom has also been renovated and is modern and contemporary, featuring a larger than average shower and a multipurpose shower tap in the sink for convenience. The bedroom boasts a built in wardrobe, the carpet has been recently replaced and the apartment is efficient and warm, with an external door with access out to the car park. Coming to the market chain free and located so perfectly for all the amenities, we expect it to be popular so call now to view.